Considering how much I love the movie 10 Things I Hate About You, I’m pretty surprised by how long it has taken me to finally read The Bell Jar. I think it is because I have heard so much about it’s depressing nature that I was wary. 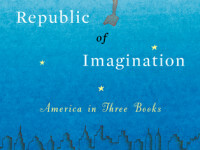 How could such a depressing book be so wonderful? But since it is on my 2013 TBR Challenge list, Classics Club challenge and 1001 Books to Read Before You Die list, I finally read it. And now I know why it’s such a hit. 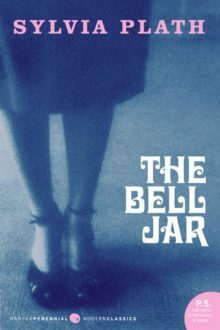 A semi-autobiographical book, The Bell Jar by Sylvia Plath tells the story of Esther Greenfield, a high achieving young woman who spirals downward into depression and insanity. What surprised me about this book is that I didn’t find it nearly as depressing as I expected it to be and was able to follow her rationalizations for her thoughts and actions. This is one of the reasons for the book’s long-term success, but experiencing it firsthand is a totally different ball game. It reminds me of Elizabeth Wurtzel’s book More, Now, Again: A Memoir of Addiction (she also wrote Prozac Nation), where the reader jumps headfirst down into the rabbit hole with the author. Prior to reading this book, I had never really paid much attention to Sylvia Plath. I considered her an author that I would get to someday and finally, years later, I am reading her for the first time. While I knew that she committed suicide at a young age and was known for The Bell Jar and her poetry, I had no idea that the book was as closely aligned with her real life as it was. The introduction and biographical section at the end of the book gives the reader a great insight into the development and publication of the book, which was just as interesting as the book itself. I was totally surprised to learn that The Bell Jar was originally released under the pseudonym Victoria Lucas.